The world of real estate can be a complex and bewilderingly detailed world to navigate. Whether you are a buyer, a seller, or an agent, there is a mountain of paperwork and a lot of fine print to pay attention to. Don’t break your head over these things; we’re here to help. 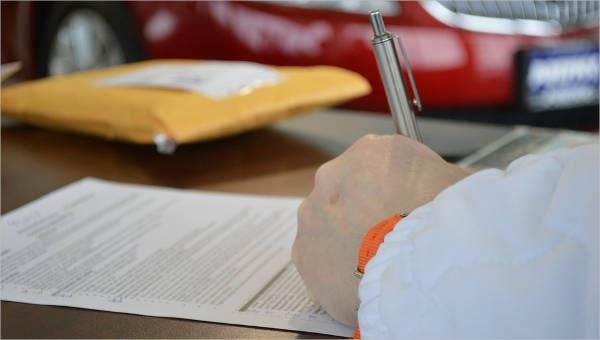 Not everyone can draft a proper, complete, and legally binding Contract Form Template, which is why we’ve collected some of the best free samples out there to help you out. 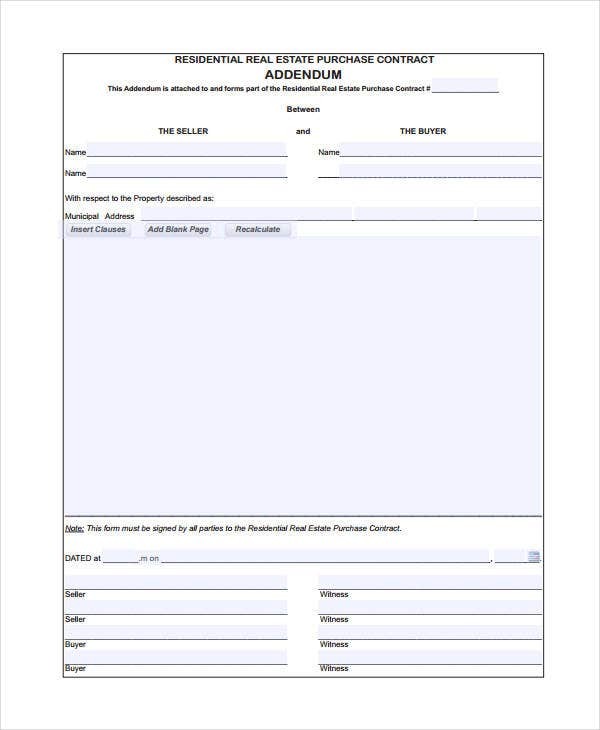 This collection itself is just one of many we offer here on Template.net, covering all manner of real estate forms, from purchase offers to agreement cancellation, referral forms and certification forms. Whatever you happen to be involved in, you’re likely going to find a free and helpful sample here or elsewhere on Template.net. 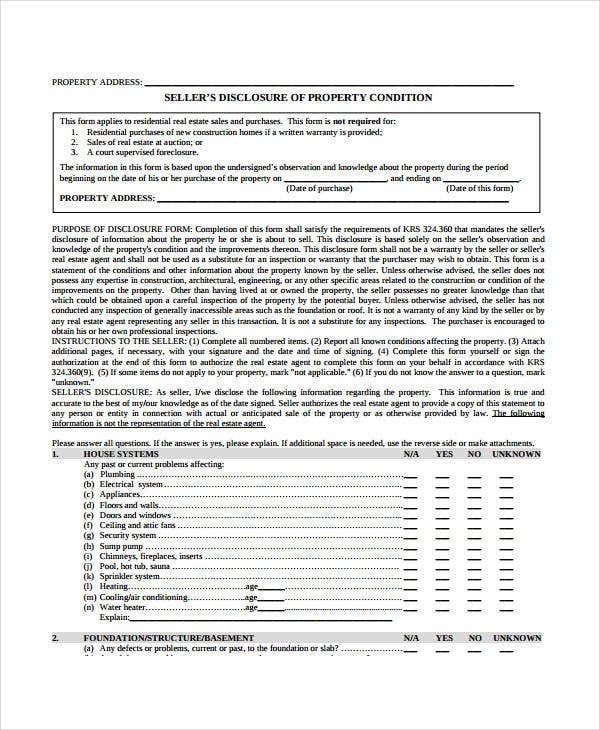 This collection is merely a sampling of the motley of real estate forms out there, each coming with its own set of details, terms and conditions, and legal parameters. Real Estate Offer Form. Your standard offer-to-buy contract. 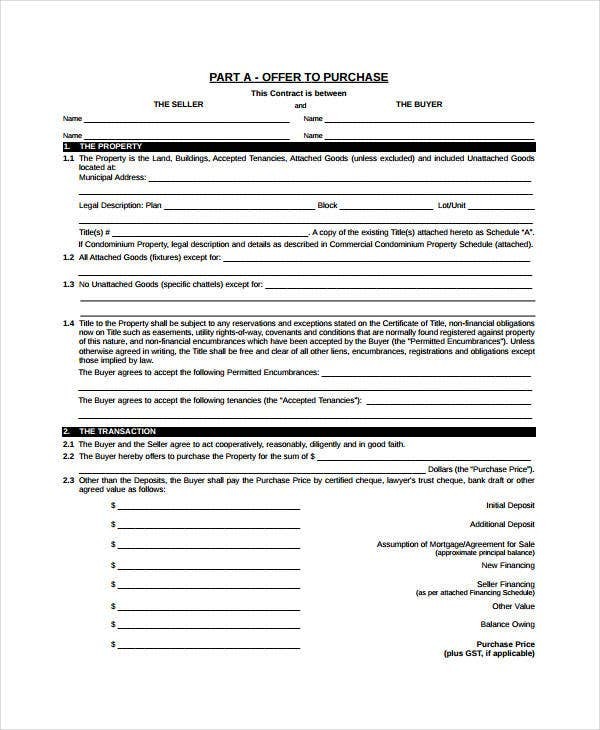 This documents the agreement to enter into a business transaction between buyer and seller, a promise to legally transfer property rights and titles at the stated purchasing price and under the stated conditions. Real Estate Disclosure Form. This, in the real estate business, is the opposite of the Non Disclosure Agreement Form (i.e., an agreement to not leak any sensitive information). With this, the owner/seller formally states all the known defects of the property being sold, as well as the history of any repairs and upgrades, before transferring ownership. This is in the interest of transparency and to avoid future legal action. 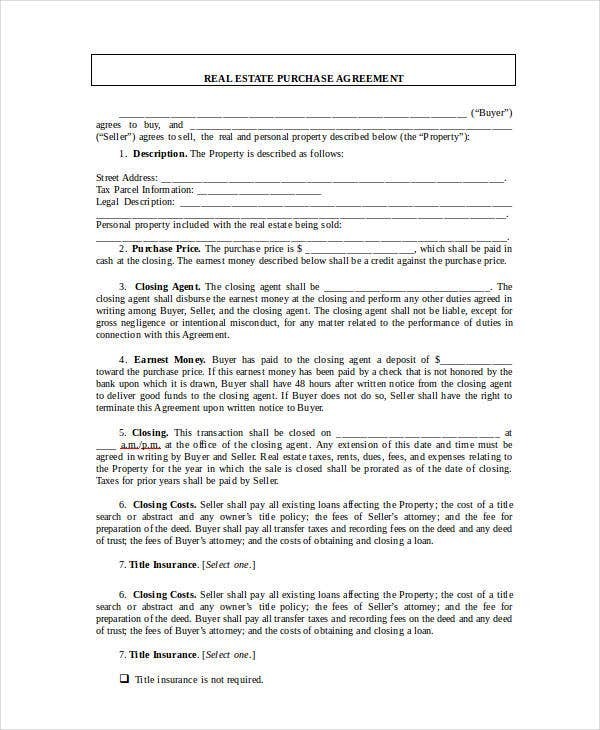 Real Estate Lease Form. Contracts for rentals instead of purchases, legally binding only till the expiration date on the lease duration. 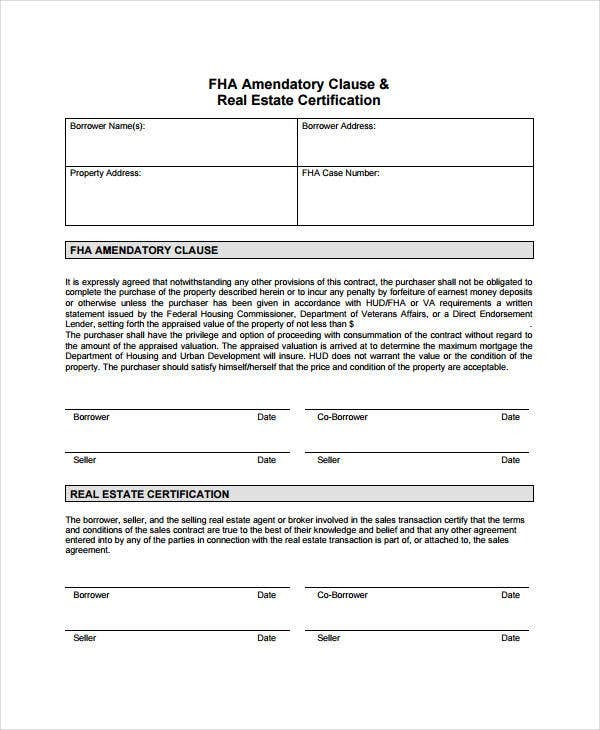 Real Estate Certification Form. 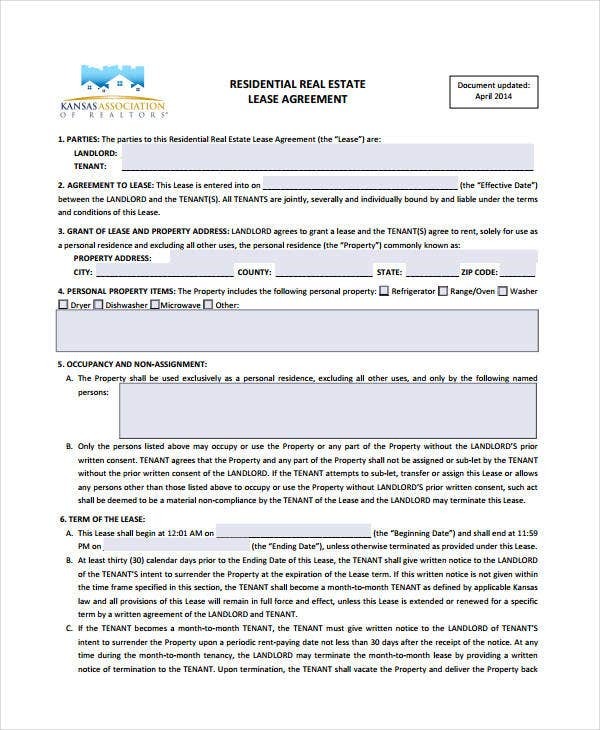 To keep things clean and legal, this form has all signatories involved in the transaction testify on paper that all the terms and conditions agreed to in the sales contract are true to the best of their knowledge (e.g., the seller certifies that he or she legally owns the property rights that is being transferred). 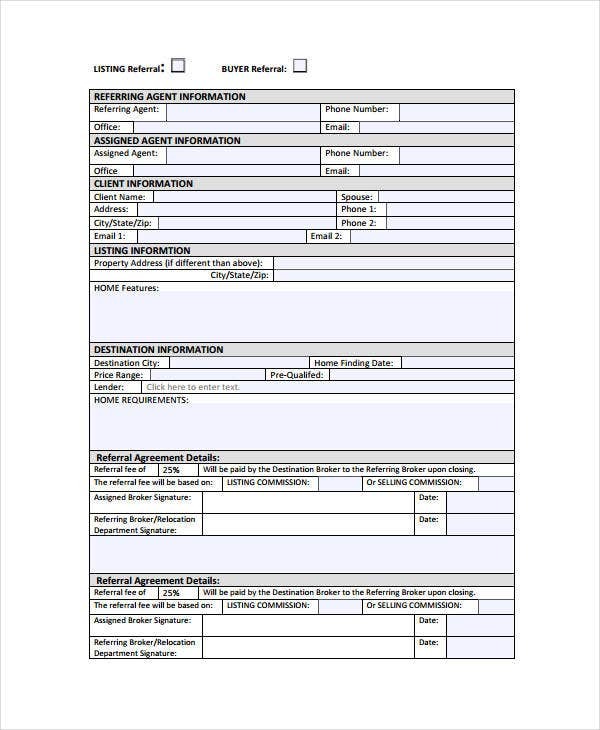 Real Estate Referral Form. For real estate agents. 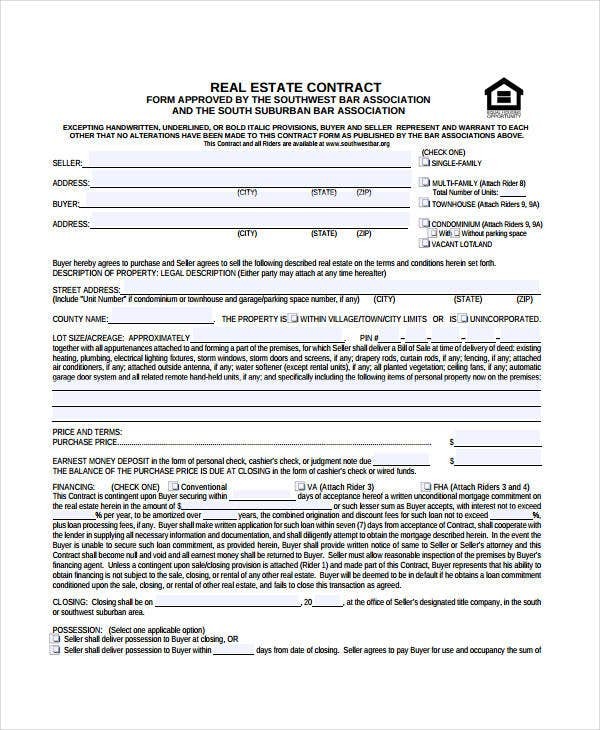 This form recommends the client to another agent in exchange for a share in the later commission when that agent and the client close a successful deal. Real Estate Addendum Form. This is an addition to the original contract that modifies or replaces any terms and provisions in the original lease contract, after negotiation. 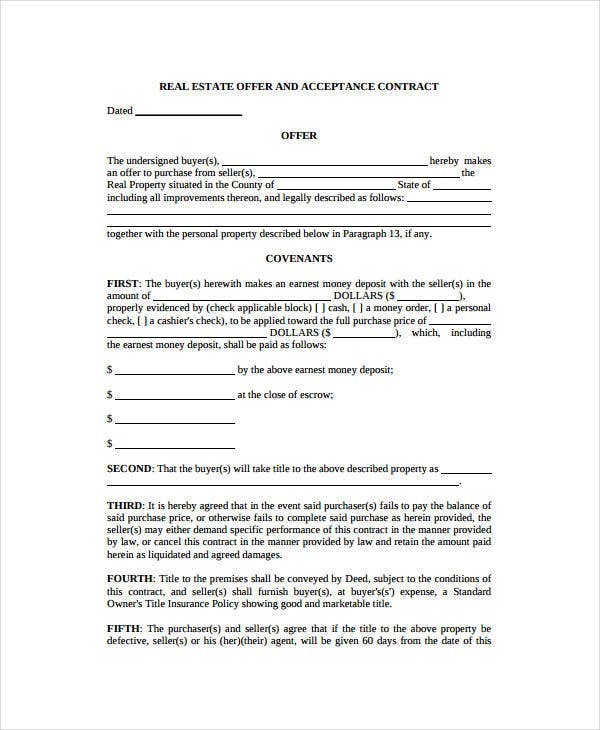 Real Estate Cancellation of Agreement Form. If you’ve ever needed an Order Form Template for your business and then found you needed a cancellation of said order, you understand that most contracts have counter-contracts to void them. This is exactly that for real estate agreements. Can’t find what you’re looking for? You haven’t checked the archives yet. Here on Template.net, we cover whole lists of downloads for each of these contract samples and more than you know what to do with.